“We told them they could come back.” Austin Westlake head coach Todd Dodge warned his team that the Cypress Ranch Mustangs were the type of team that could come back if given the chance. Last week, the Mustangs trailed Katy Cinco Ranch 14-11 going into the fourth quarter. The Mustangs went on to outscore the Cougars 21-7 in the fourth quarter for a 32-21 win. On Friday night, the Mustangs found themselves in the same situation. Trailing 21-3 at the end of the third quarter, Cy-Ranch took advantage of several special-teams miscues to score 22 unanswered points and stun Westlake 25-21. In the first three quarters, Westlake dominated both sides of the ball. Senior quarterback Taylor Anderson opened the scoring with a two-yard touchdown keeper. Anderson set up the touchdown two plays earlier with a 24-yard keeper. For the game, he ran 20 times for a total of 76 yards and one touchdown. Senior running back Tripp Graham added another touchdown in the second quarter on a 25-yard run. Defensively, the Chaparrals held the Mustangs to 74 total yards of offense. The Mustangs’ lone score in the first half came courtesy of senior kicker Ross Thurwalker’s 33-yard field goal in the second quarter. 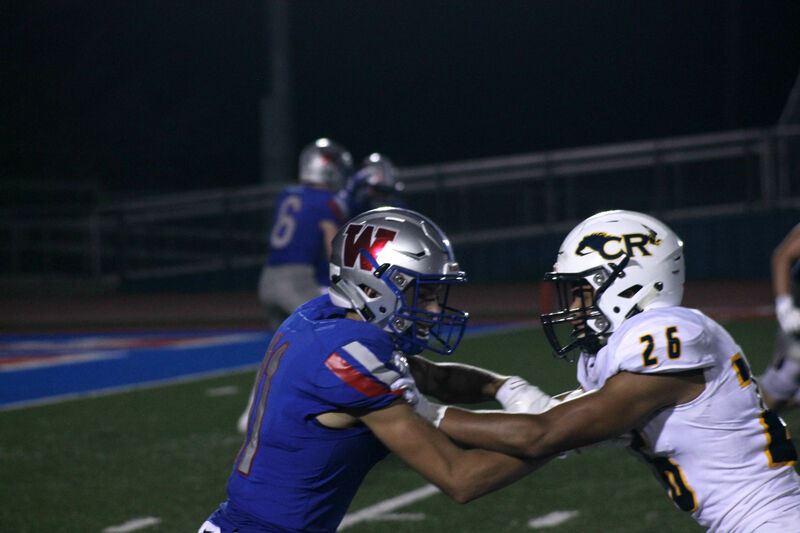 Taylor Anderson connected with junior wide receiver Mason Mangum late in the third quarter for a 19-yard touchdown pass to give Westlake a 21-3 lead. Early in the fourth quarter, however, the tide began to turn in favor of the Mustangs. After the Cy-Ranch defense held the Chaps to a three-and-out, the Westlake long snapper snapped the ball over the punter’s head. The ball then rolled back out of the end zone resulting in a safety. After starting the ensuing drive at the Westlake 39-yard line, junior quarterback Logan McDougald connected with junior tight end Drake Dabney for a 19-yard touchdown pass. The Mustangs failed to convert the two-point conversion bringing the score to 21-11 in favor of Westlake. Despite failing to recover the onside kick, the Mustang defense drove the Chaps backwards on their next drive. A partially-blocked punt set them up again with excellent field position at the Westlake 39-yard line. Junior running back Elias Pino scored his first of two touchdowns on a 23-yard rush to cut the deficit to 21-18. 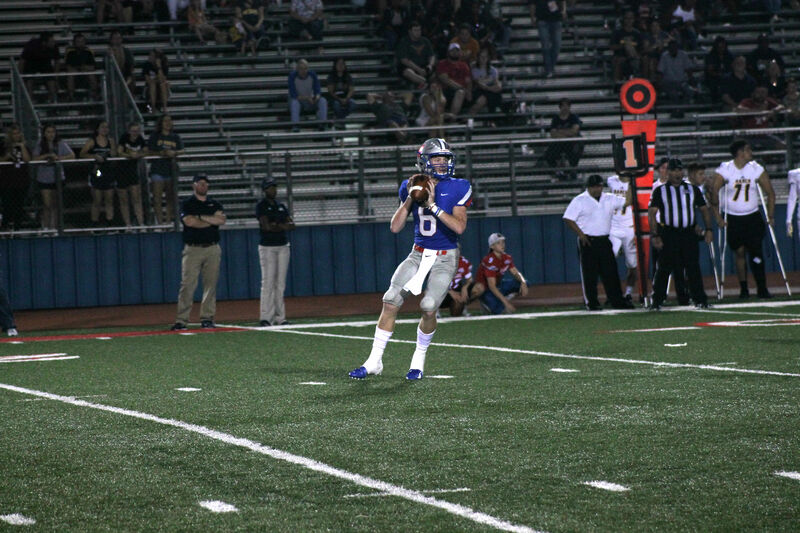 The Westlake offense sputtered again following the touchdown going three-and-out. Special teams haunted them once more when a ten-yard punt set up Cy-Ranch at the Westlake 30-yard line. Elias Pino then broke free again for a 24-yard touchdown run to give Ranch a 25-21 lead with under one minute remaining. The Chaparrals managed to drive all the way to the Mustang 36-yard line, but Anderson’s pass sailed over the head of his receiver as time expired sealing the incredible comeback for the Mustangs. With the win, Cypress Ranch improves to 2-0 on the year. 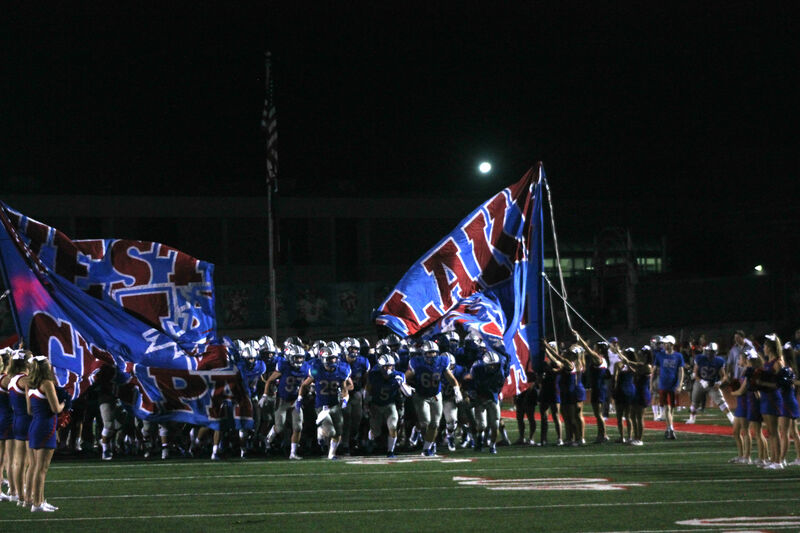 The Mustangs will host the Langham Creek Lobos on Thursday at Cy-Fair FCU Stadium. The Lobos are 0-2 following a 23-20 loss to Fort Bend Bush. Westlake, meanwhile, falls to 1-1 for the year. The Chaparrals will travel to Burger Stadium on Thursday to open district play against the Austin Akins Eagles. The Eagles are 2-0 following a 23-13 win over Bastrop Cedar Creek.